The Golden Triangle. 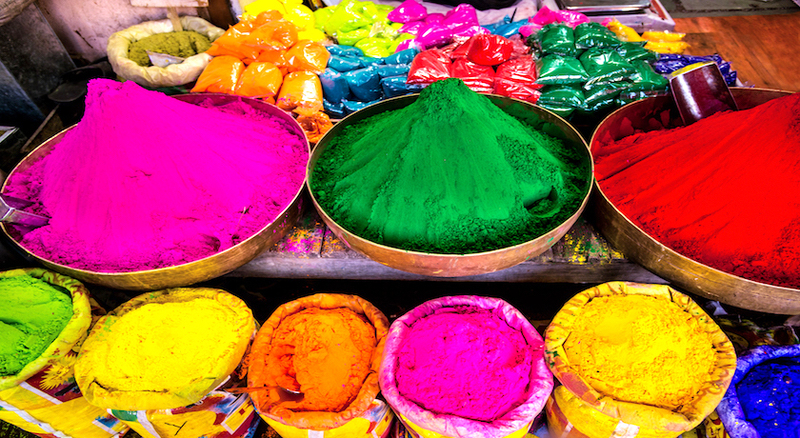 Might we add a pinch of colours to one of the most popular travel routes in India?Get drenched in the colours of India by being a part of unparalleled Holi celebrations at Jaipur, explore the narrow by lanes of Delhi on a rickshaw ride, marvel at the Mughal-era white marble domed structure we call the Taj Mahal. 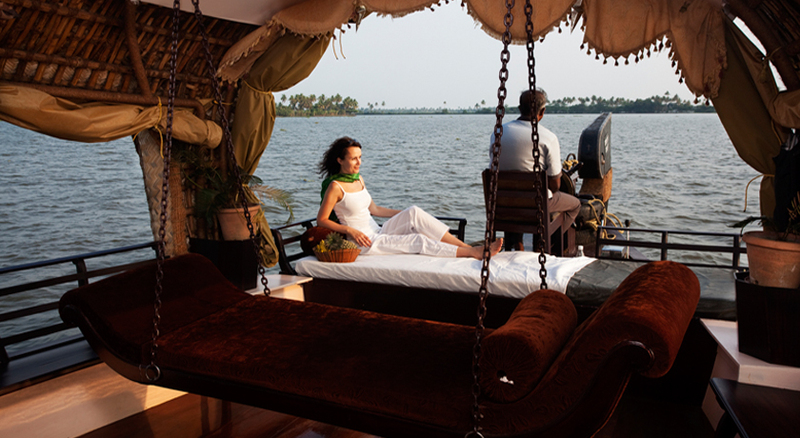 Experience the kaleidoscope called India! 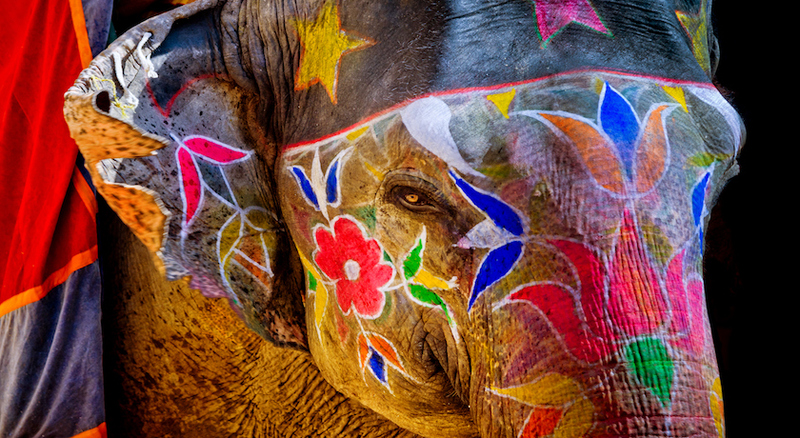 If only one could taste India’s cultural extravaganza, explore its chaotic beauty, and get drenched in its vibrant colours (literally, we mean) during one trip! They say India’s heart lies in Delhi- in its imposing Mughal and Mamluk-era sandstone structures, its chaotic by lanes, its unrivalled rickshaw rides, its ever-so-busy markets and food streets. We say take two steps more and you might just end up discovering its soul! 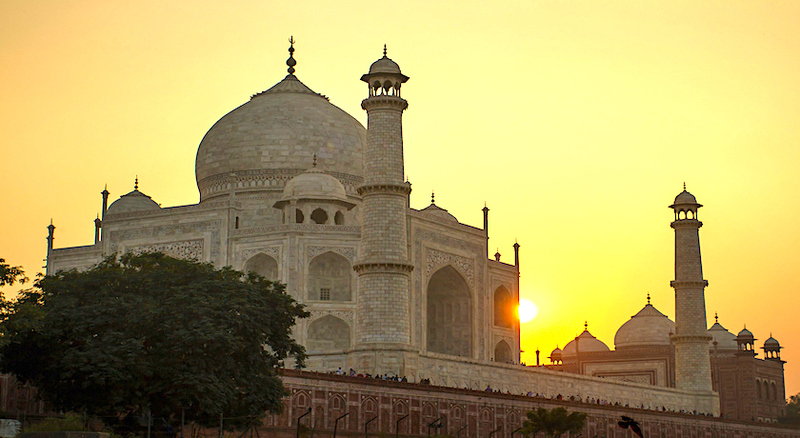 Hop on the most popular travel circuit in India- The Golden Triangle-to explore the Indian cities of Delhi, Jaipur, and Agra. 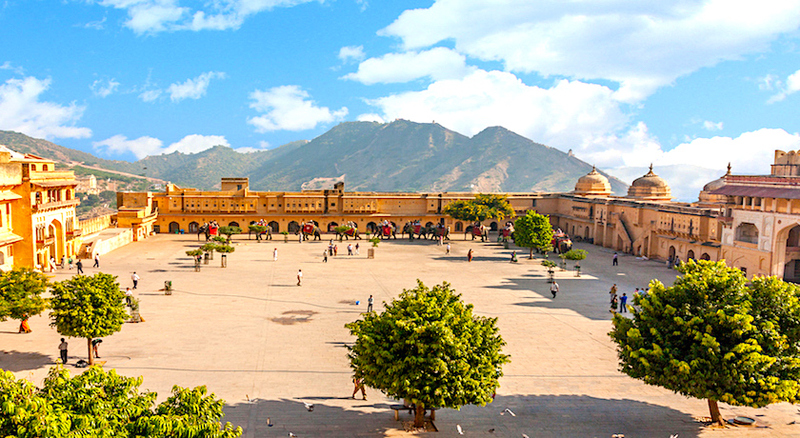 The seven night and eight day-tour begins in the Pink City of India, Jaipur, taking you around its majestic forts and awe-inspiring astronomical observatory. 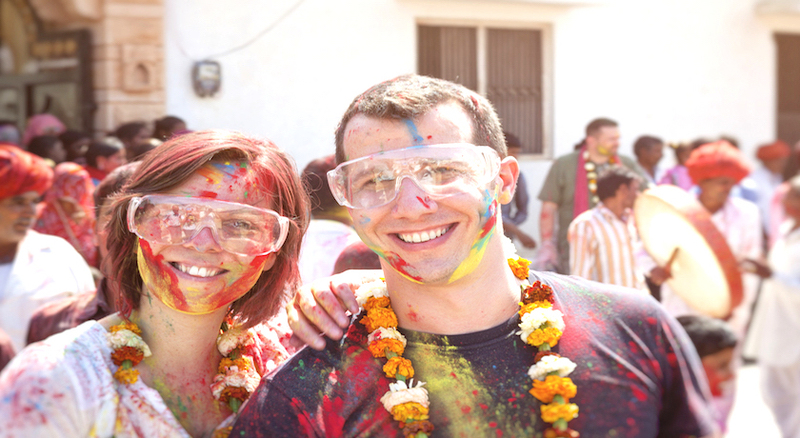 If celebrating Holi in India has ever been on your checklist, we would be happy to help you strike it off. 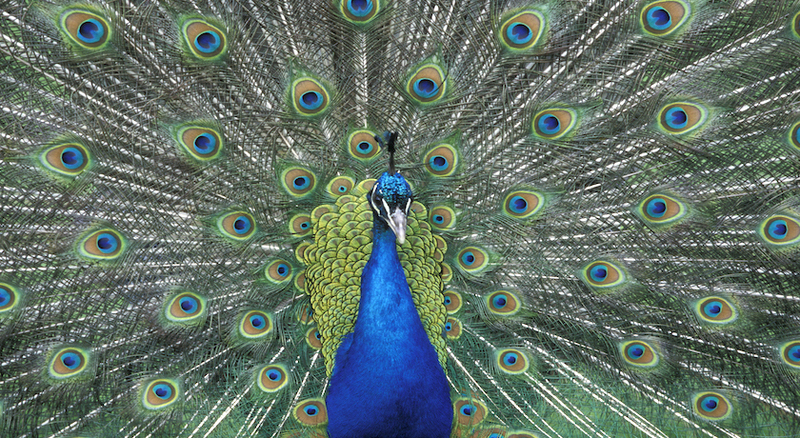 Be a part of the colourful festival organised for you, also the site for popular Jaipur Literature Festival. 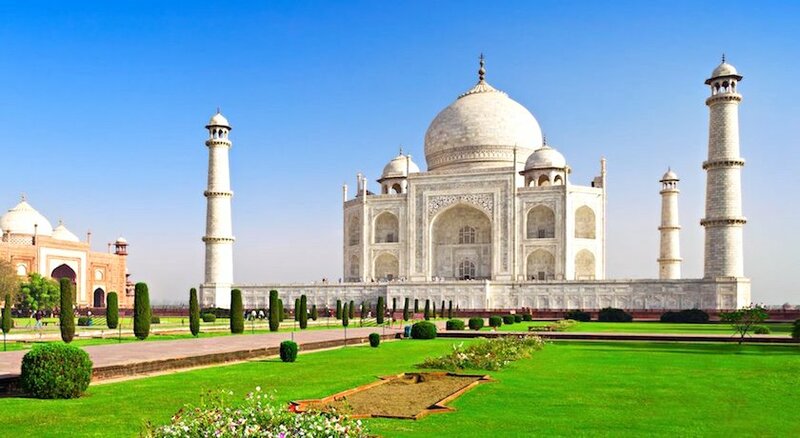 After that, spend a day listening to the story of Shah Jahan and Mumtaz Mahal as you explore the 17th century marvel the Taj Mahal at Agra, the symbol of love, as they like to call it. 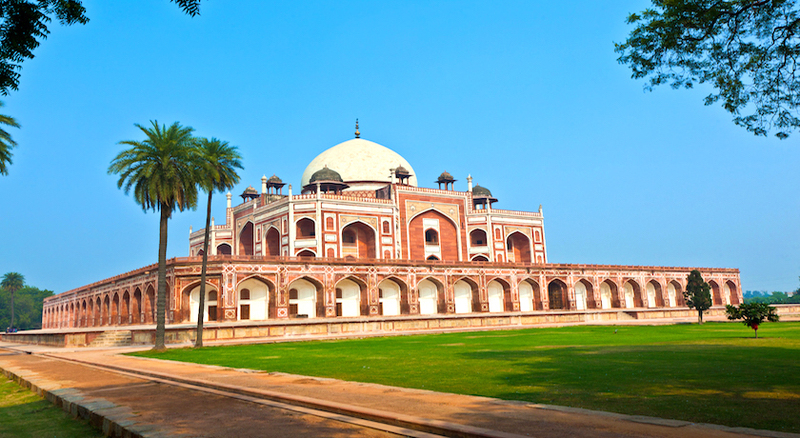 The last edge of the triangle takes you on a tour through the Indian capital New Delhi. Talk rickshaw rides, food streets, and some stunning monuments! Amazing itinerary with included tours! 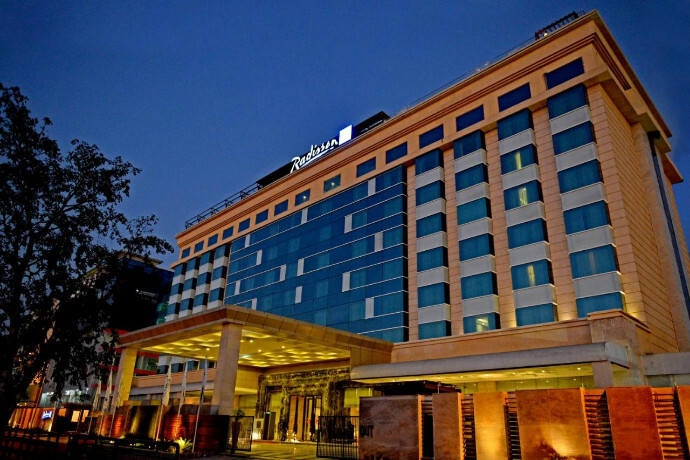 If radiance and luxury perfectly define you, then Double Tree by Hilton Hotel, Gurgaon, Delhi is what you're looking for. 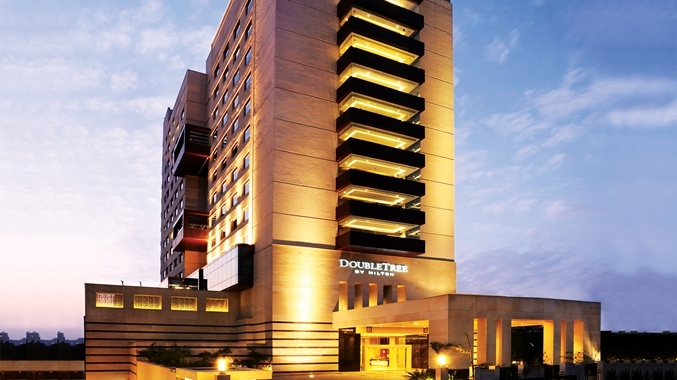 The 5-star DoubleTree by Hilton Gurgaon New Delhi NCR sits on the exclusive Golf Course Road. 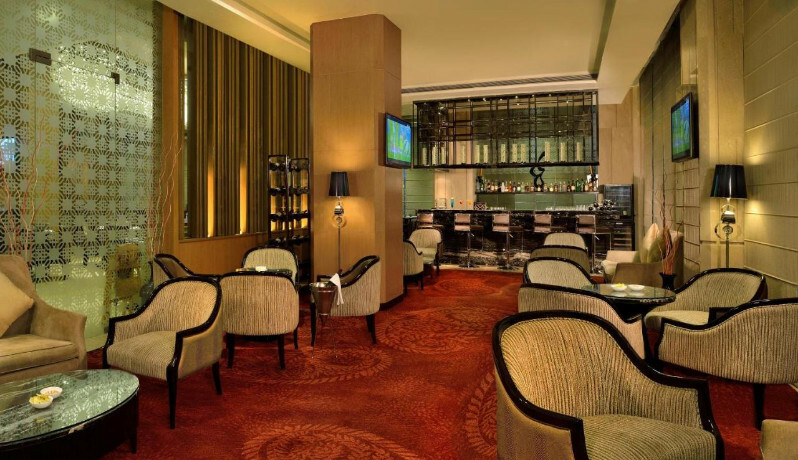 The hotel offers a sophisticated and modern combination of guest services, amenities and technology in a refreshingly spirited and welcoming ambiance. 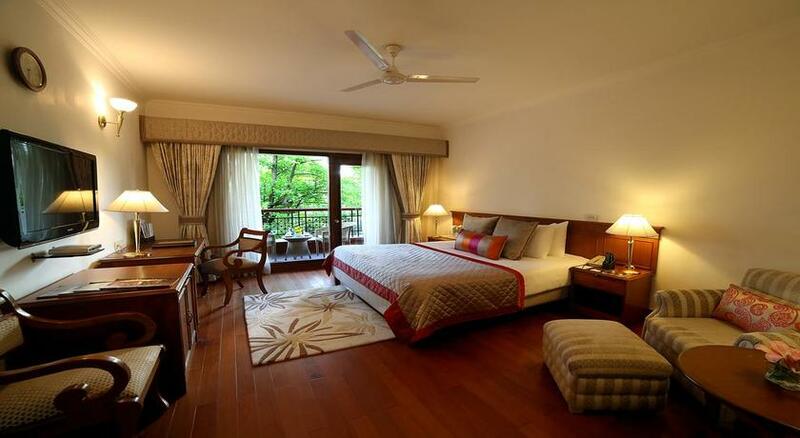 Double Tree By Hilton Gurgaon has luxurious room for the guests which gives them a comfortable stay. 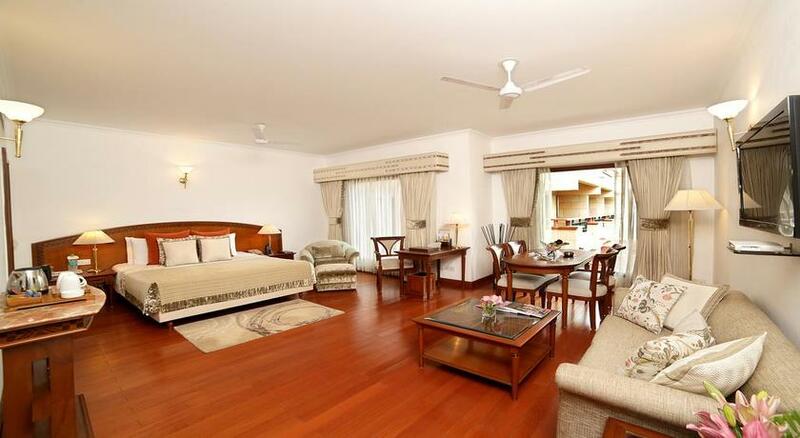 The air-conditioned rooms are all equipped with a flat-screen satellite TV. A minibar and ironing facilities are included. 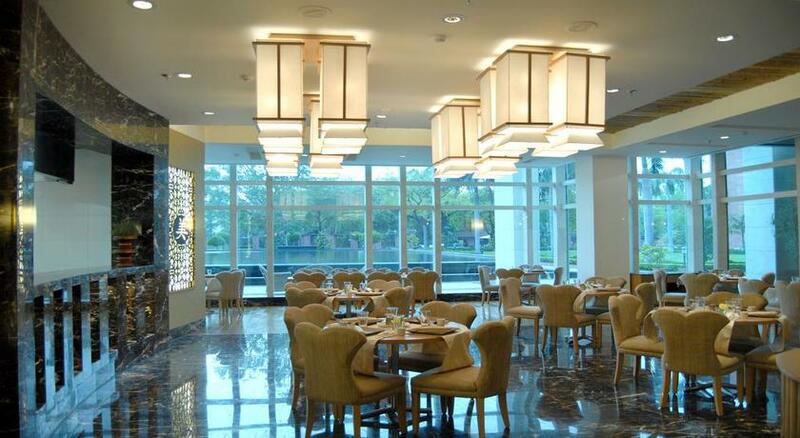 Dining at the hotel encompasses Asia Alive the South-East Asian an all-day dining specialty restaurant; The Food Store, an all-day café and deli; Spiritual, the gastro bar and lounge popular for its Live DJ nights. 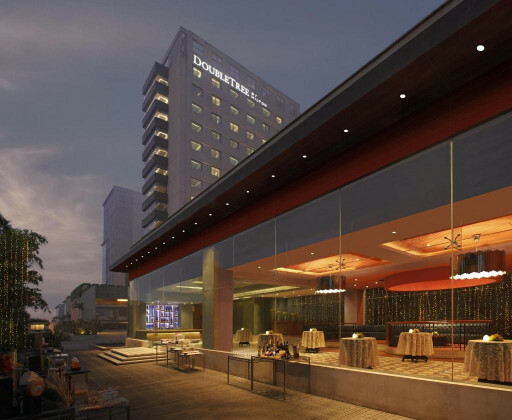 With an array of fine services and amenities, DoubleTree by Hilton creates a rewarding experience for all hotel guests making them feel right at home. 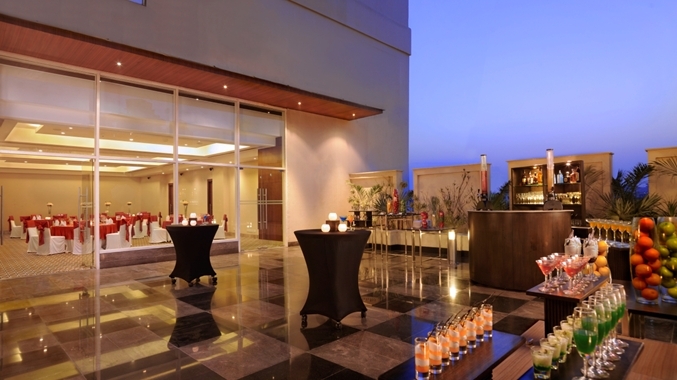 The lavish features and peaceful ambience of Hotel Radisson Blu makes it one of the most sought after hotels in Jaipur. 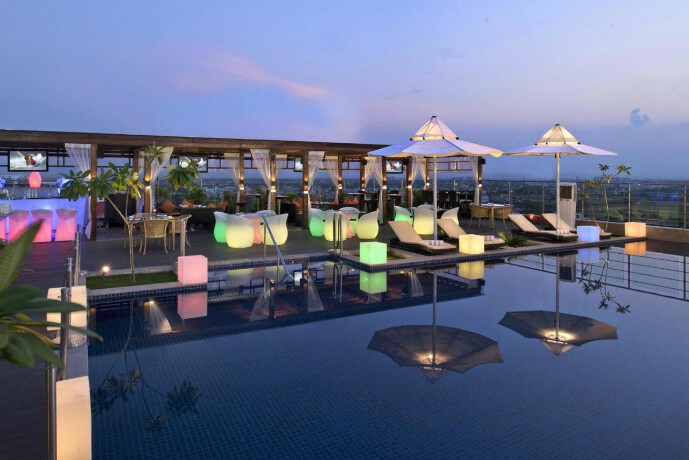 Located in the south of the city center, the five-star hotel Radisson Blu provides a welcoming atmosphere to the guests. 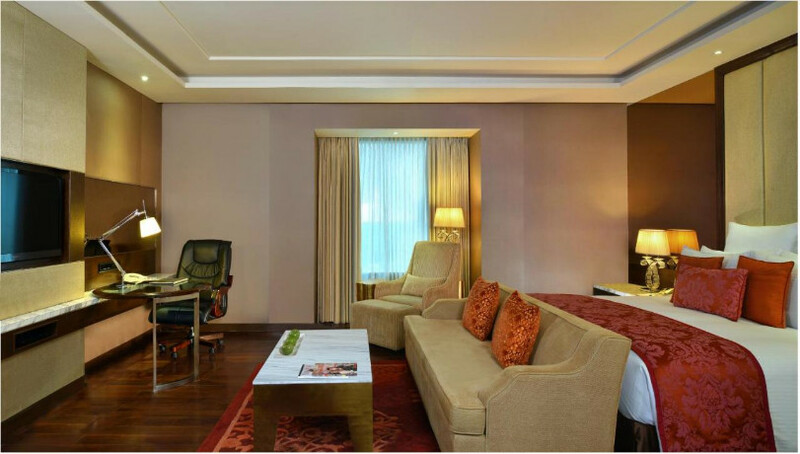 The well-furnished and spacious rooms of the hotel are tastefully designed with a blend of traditional and contemporary decor to offer guests a feel of both modern and classic world. 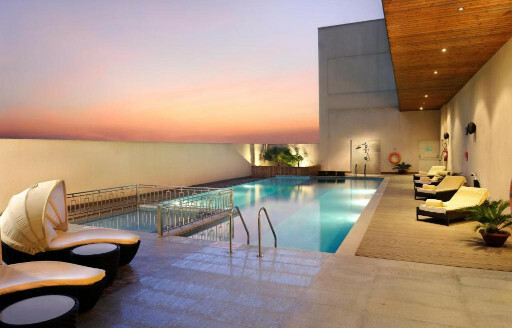 Experience world-class service as you escape the citys bustle with amenities like Free high-speed, wireless Internet, a state-of-the-art fitness center and a stunning rooftop swimming pool. 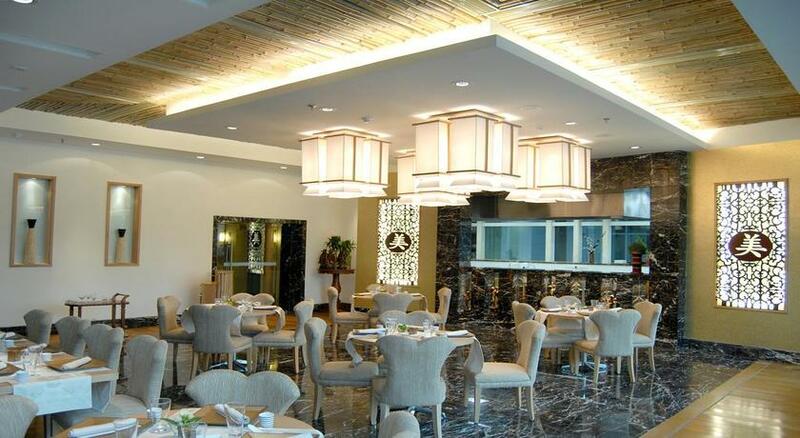 The holiday-makers and peace-seekers love the inviting decor of the hotel and completely enjoy the luxury served to them with great hospitality. 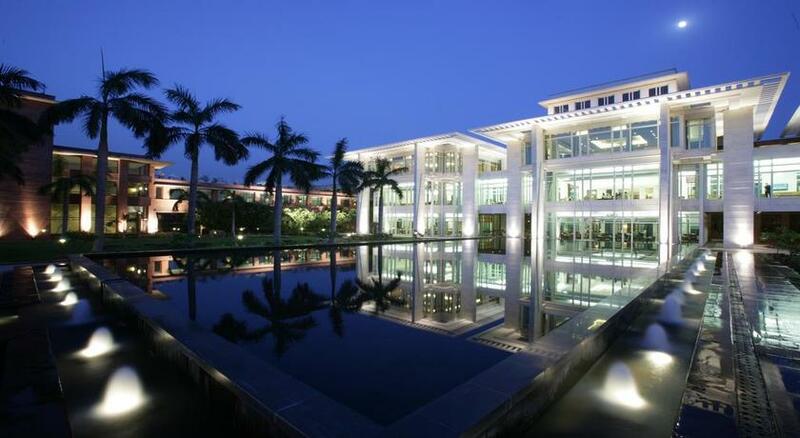 Just 2.5 km from Taj Mahal, 5-star Jaypee Hotel features landscaped gardens with ponds and water features. 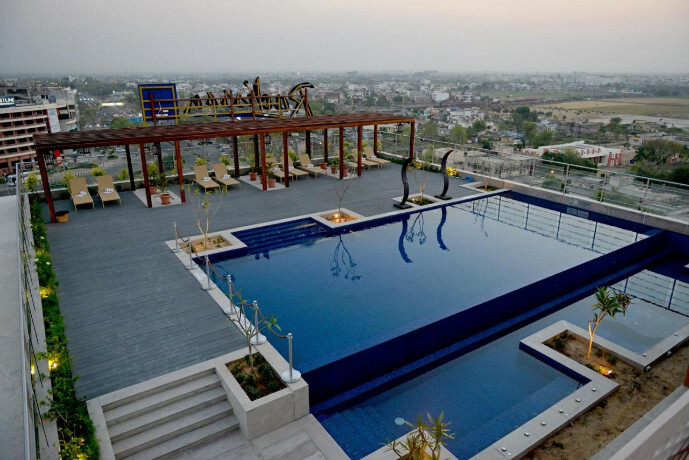 It houses a shopping mall, an Ayurvedic spa with a Turkish bath and a large outdoor pool. 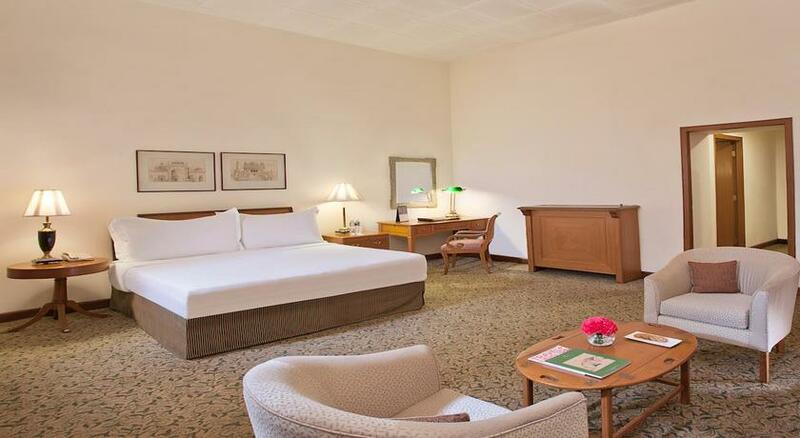 Boasting a Mughal-inspired décor, the spacious rooms at Jaypee Palace Hotel provide a flat-screen TV, a safety deposit box and ironing facilities. A minibar is also available. Some rooms offer views of the pool or garden. Guests can work out at the fitness centre or make use of the hotel’s jogging track. Other activities include golf at the putting green and bowling at the mall. A night club provides another entertainment option. 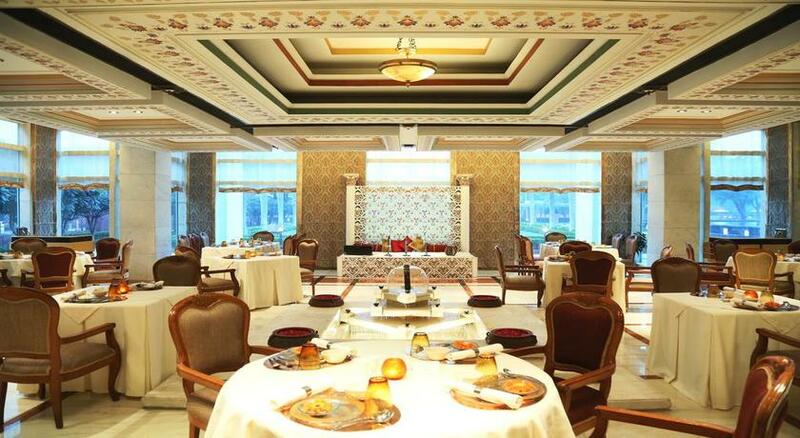 Seven dining choices are available at the hotel, including the fine-dining Paatra and C’est Chine restaurants which serve local delights and Chinese specialities respectively. 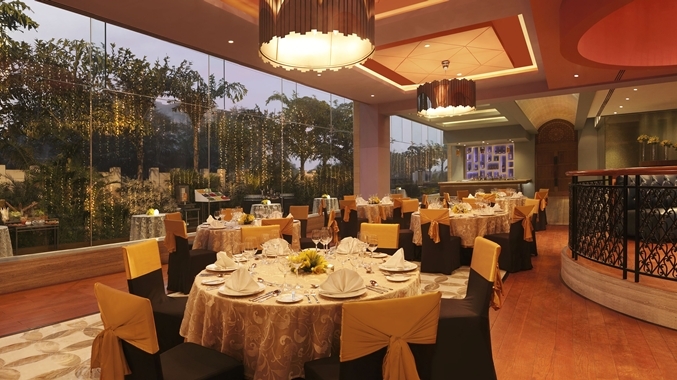 Aqua Grill offers barbequed dishes, while Tea Lounge provides delicious tea blends complemented by light bites and views of the garden. 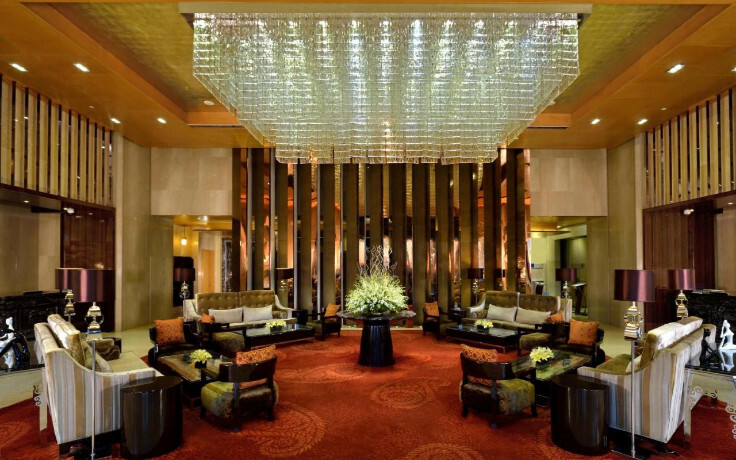 Jaypee Palace Hotel is located 8 km from Agra Cantt Railway Station, while Kheria Airport is 10 km away. 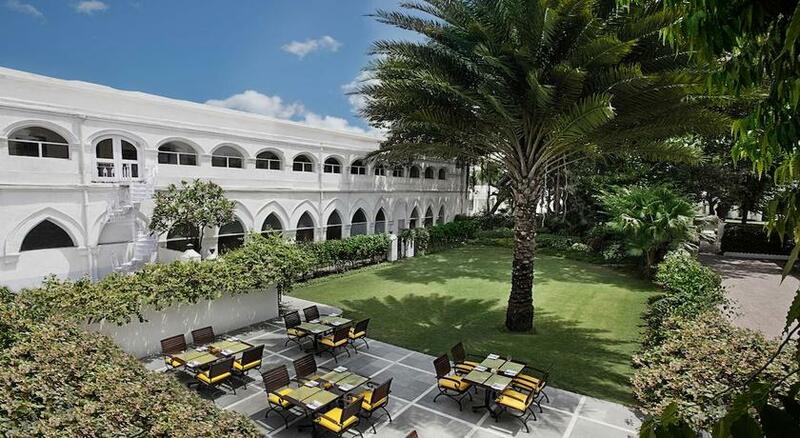 Maidens Hotel showcases old world colonial charm and architecture, spread over eight acres of verdant gardens and exquisitely manicured lawns. 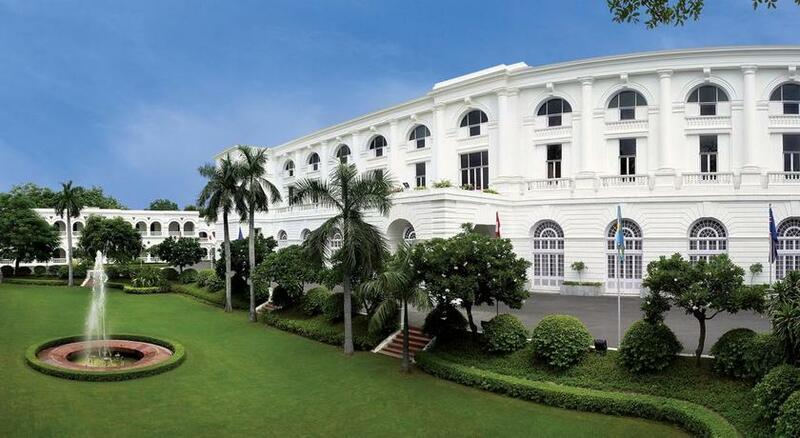 Built in the early 19th century, the hotel has kept its old-world grace and grandeur untouched. 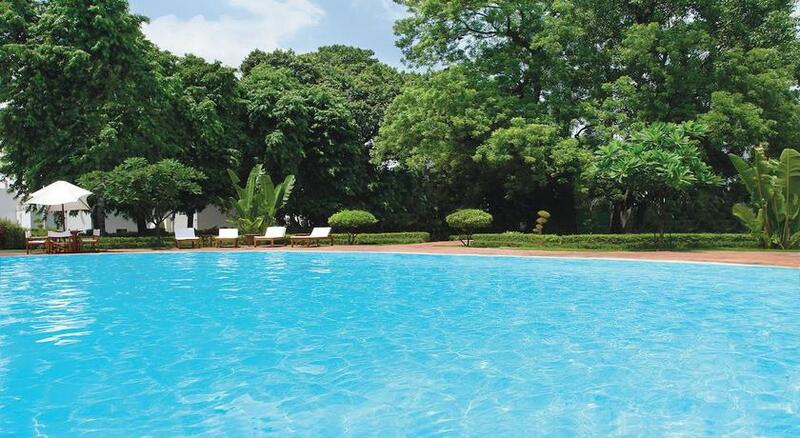 It has an outdoor pool, fitness centre and features a coffee shop which extends into a charming, open courtyard. 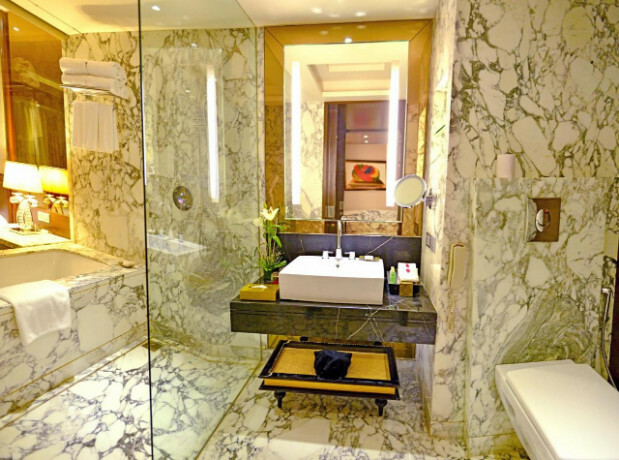 55 Air-conditioned rooms feature a minibar and free bottled water. 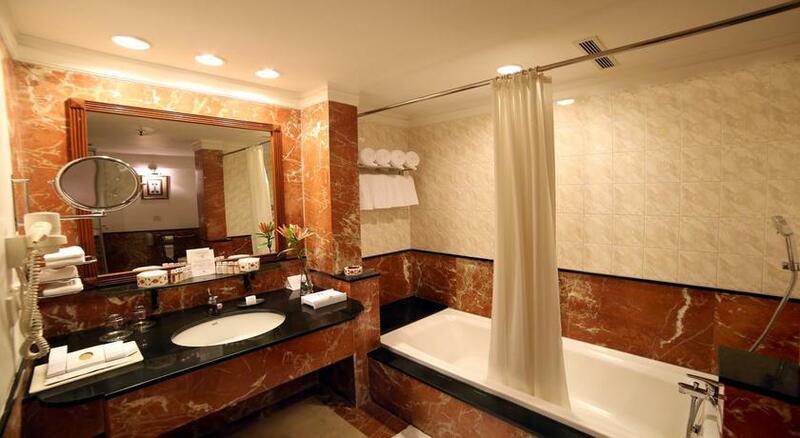 Private bathroom includes a shower and free toiletries. 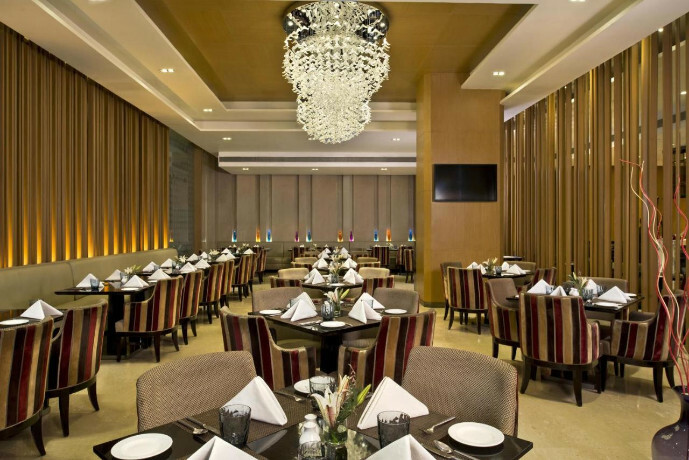 Just 200 metres from Civil Line Metro station, Maidens Hotel New Delhi is 2.5 km from The Red Fort monuments and Chandni Chowk (market). New Delhi Airport is about a 1-hour drive from the hotel. 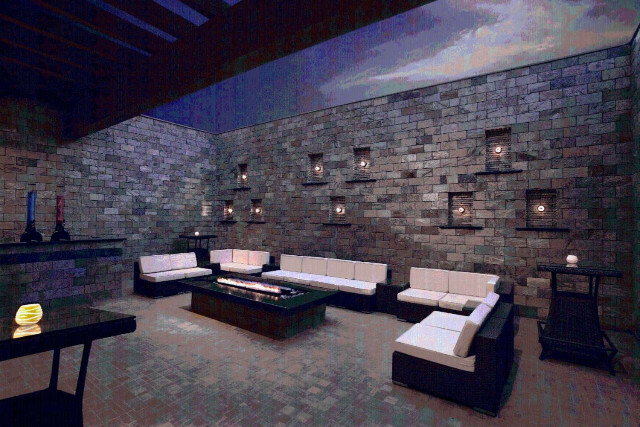 Luggage storage facilities are provided at the 24-hour reception. Guests who drive enjoy free private parking. Modern conveniences available include a currency exchange, tour desk and ticketing service. Laundry services are provided at an extra cost. 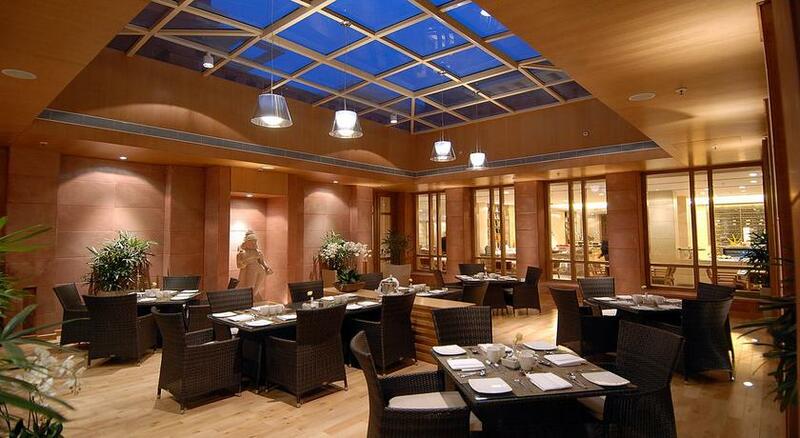 A selection of European and Indian cuisine is served at The Curzon Room and The Garden Terrace. 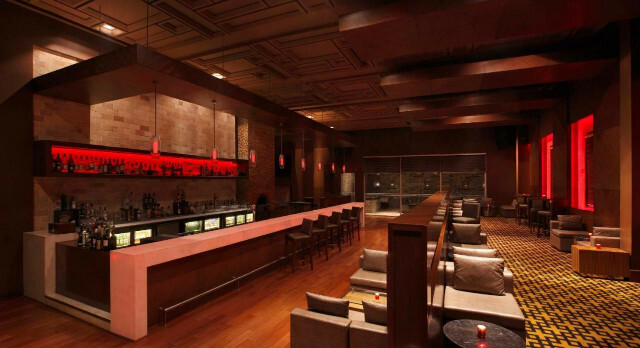 Cocktails and beverages can be ordered from The Cavalry Bar. Welcome to the Indian capital New Delhi. You will be received at Indira Gandhi International Airport by our representative and transferred to your hotel in Gurgaon. The day is at leisure to let you overcome jet lag and travel fatigue. 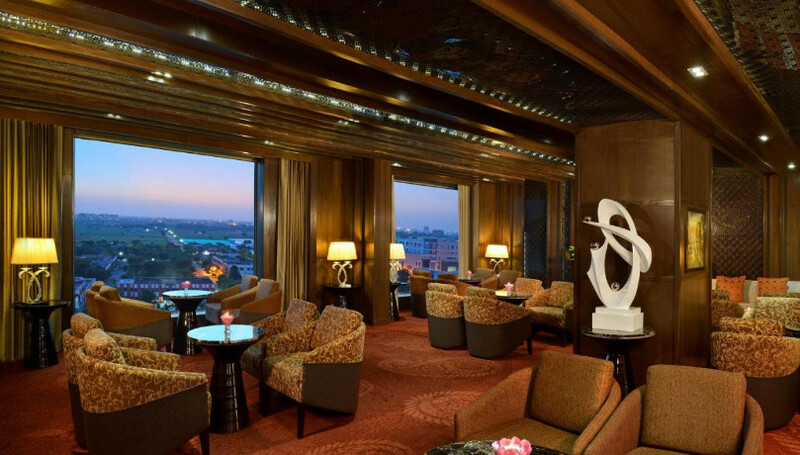 Spend the night in Gurgaonand get ready for a road trip to the Pink City of India the next day. Have your breakfast and drive down to Jaipur, the Pink City of India, in the royal state of Rajasthan. 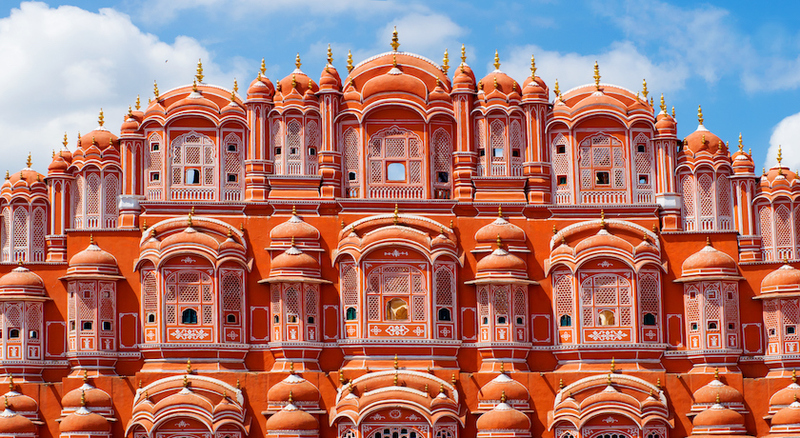 The legend has it that it was the year 1876 when Maharaja Ram Singh, the ruler of Jaipur at the time, had the entire city painted in pink in order to welcome the Prince of Wales during his tour of India, with the colour being symbolic of hospitality. And this is what the state of Rajasthan essentially stands for- warm hospitality. 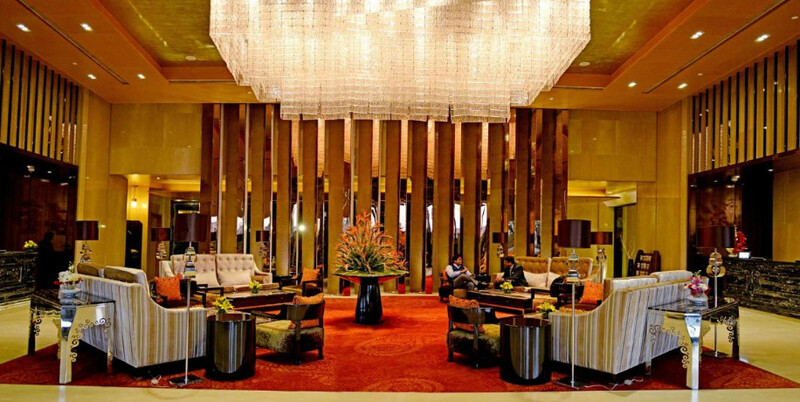 On arrival, check into your hotel and spend some time relaxing and unwinding. 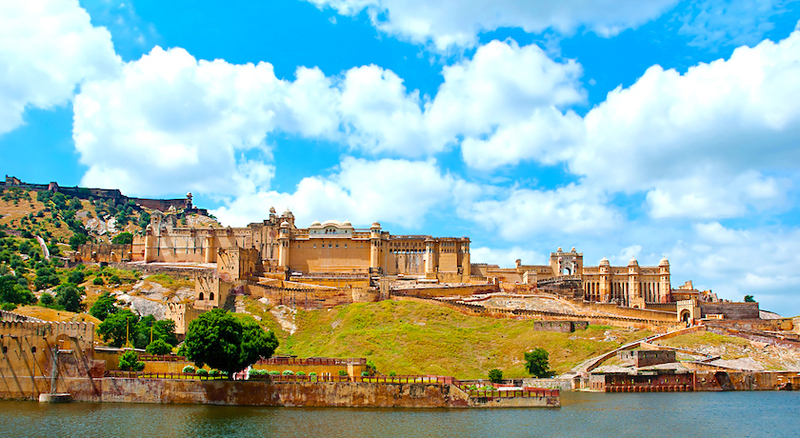 In the evening, visit the majestic Amer Fort to enjoy the popular light and sound show. 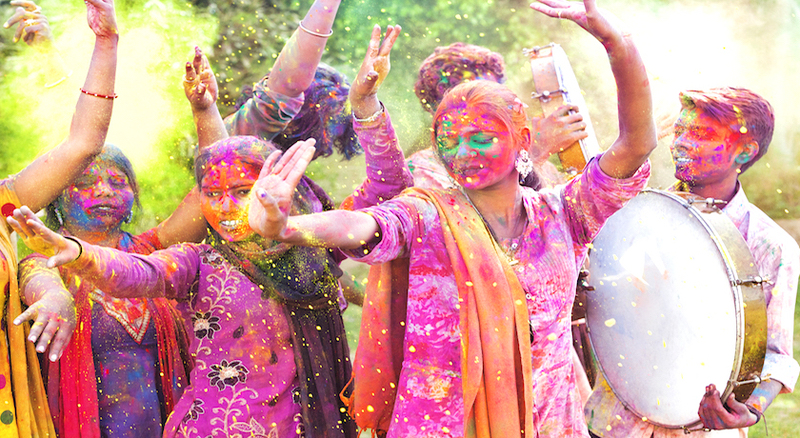 Get drenched in the colours of India. Literally! 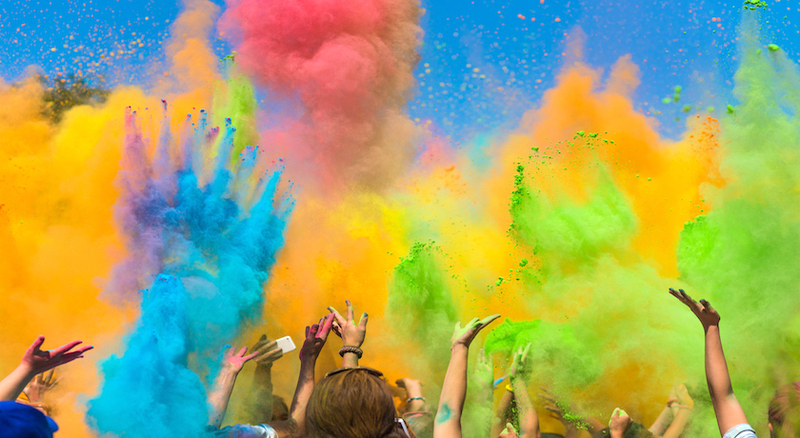 After breakfast, enjoy Holi, the festival of colours. 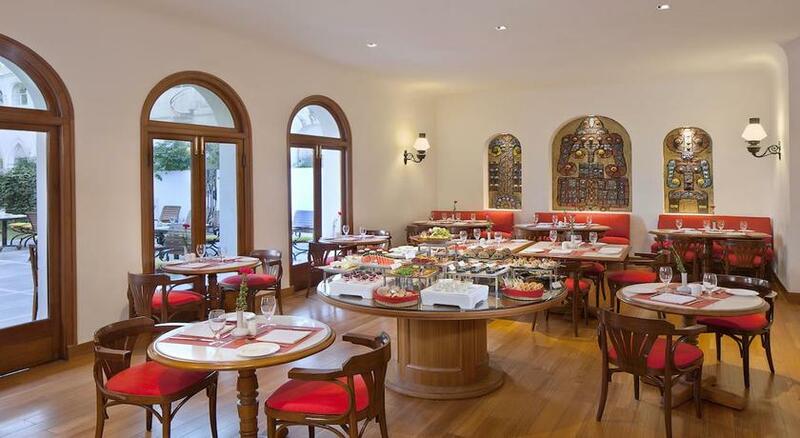 Gorge on delectable snacks and lunch as you enjoy the celebrations. This morning after breakfast,take a tour of the city of Jaipur. In the morning, explore the 16th century Amer Fort and listen to the tales of the kings and queens who once ruled the land. 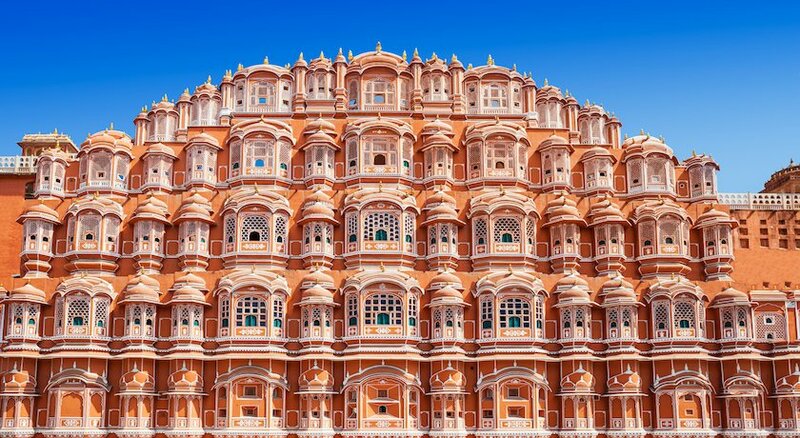 After that, visit the honeycombed red and pink sandstone structure Hawa Mahal, The Palace of Wind, with its numerous windows and jharokhas designed to help the queens and ladies see the proceedings of the city. In the afternoon,visit City Palace and Museum, another major attraction of the city, followed by an awe-inspiring tour through Jantar Mantar, an astronomical observatory believed to have been built in the 18th century. 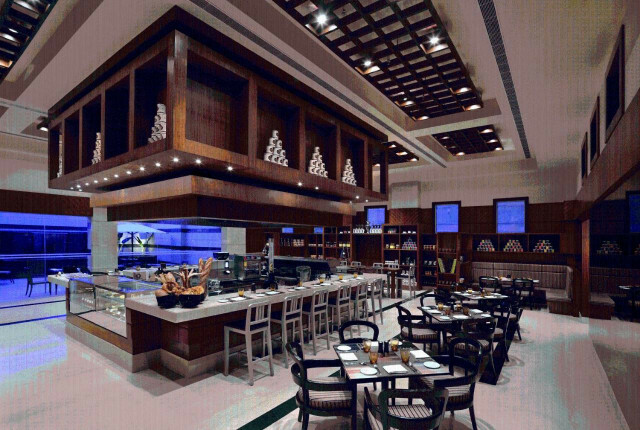 Have a hearty breakfast and leave for the Mughal city of Agra. 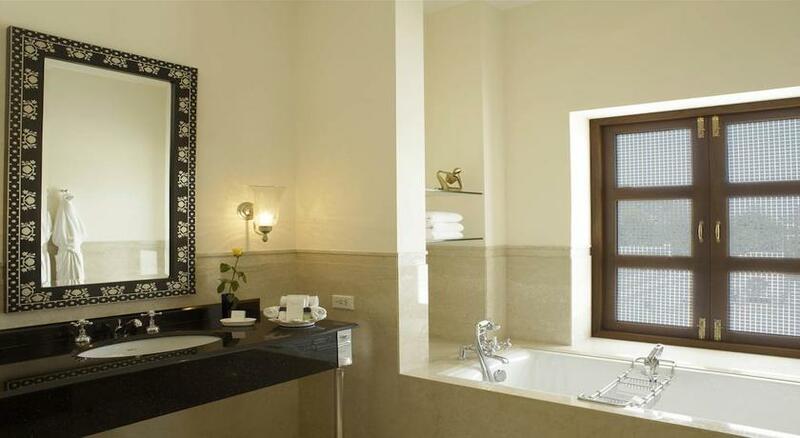 Check into your hotel in Agra and spend some time relaxing. In the afternoon, visit Agra fort, built by the renowned Mughal emperor Akbar, and the famous white marble domed structure called the Taj Mahal-the symbol of love, built by Emperor Shah Jahan in the memory of his wife Mumtaz Mahal. Explore the 17th century masterpiece, also designated as a UNESCO world heritage site, as you listen to the numerous tales of the Mughal era emperor, his wife, and the artists who spent years designing and building the iconic mausoleum with stones transported from various continents. After breakfast,get transferred to Delhi. 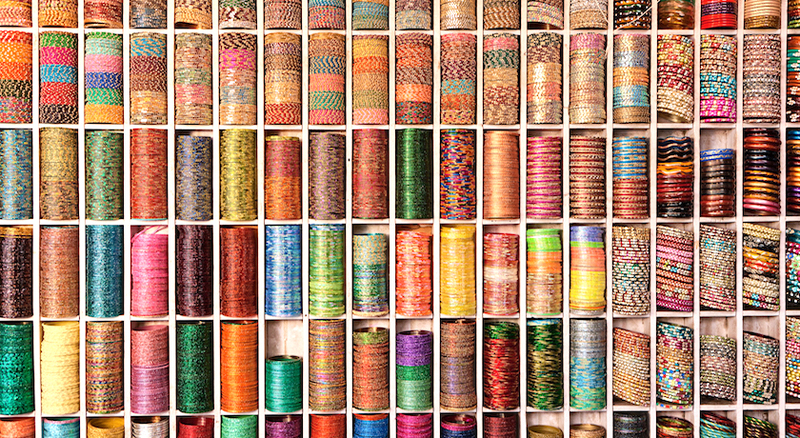 Begin your trip with a visit to Old Delhi*. Visit the historic India Gate, a memorial to the thousands of soldiers of British Indian Army killed in World War 1, followed by a trip through Connaught Place in central Delhi. Shop for antiques, explore some pubs and bars, or just enjoy a long walk through the lively, colonnaded streets. 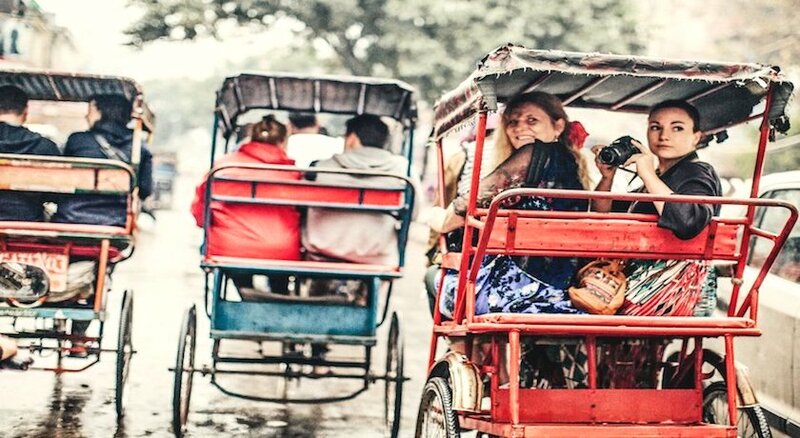 Head for Old Delhi after breakfast.Take a rickshaw ride through the narrow, chaotic lanes and by lanes of Chandni Chowk and its irresistible markets offering clothes, food, and jewellery. 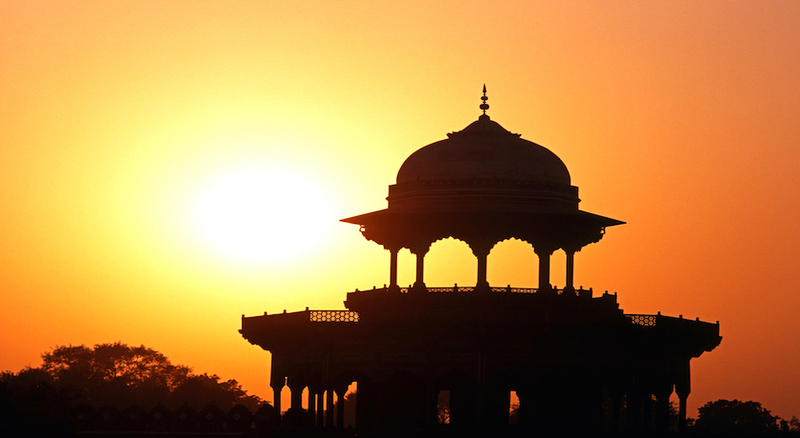 Visit Raj Ghat, Humayun’s Tomb, and the historic Red Fort built by Mughal emperors. 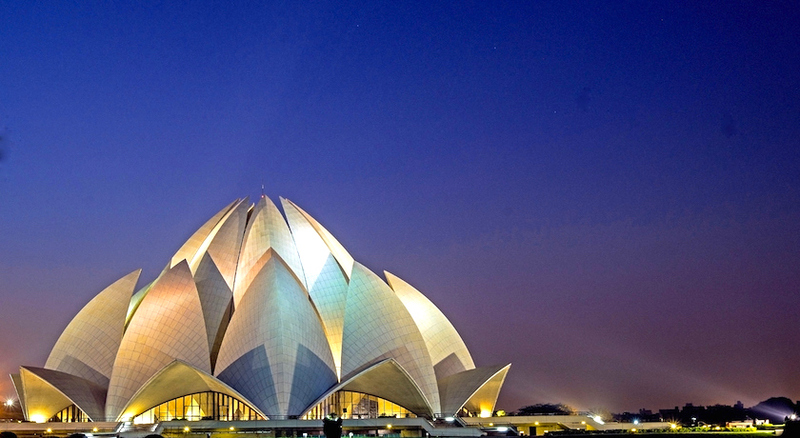 Later on, proceed to New Delhi,with visits to Qutub Minar, the tallest minaret in India made of bricks, the imposing India Gate*, the Rastrapathi Bhawan, and Lotus Temple. Early in the morning,have your breakfast and get transferred to the airport for your return flight to the UK. 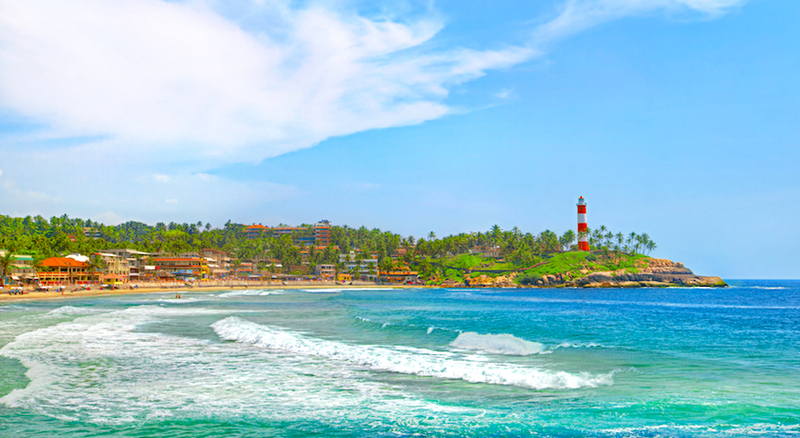 Our endeavor will always be to confirm the hotels listed in the package chosen, however in rarest of cases where we are not able to confirm certain hotel(s), like for like alternatives will be provided. Meals other than specified. Meals at hotels will generally be buffet. Any Train/ Airfare, please refer supplement for the same. Expenses of personal nature like telephone calls, laundry, shopping, table drinks, the fee for the still cameras/video camera at the monuments, etc. Any additional expenses caused by or liability for disturbance in the trip due to circumstances beyond our control such as airline delays, roadblocks, vehicle malfunctions [mechanical breakdown] and other conditions like sickness, natural disasters, wars, riots or any other unforeseen circumstances. Liability for our travel insurance against injury, loss of life, accidents, damage or loss of goods.